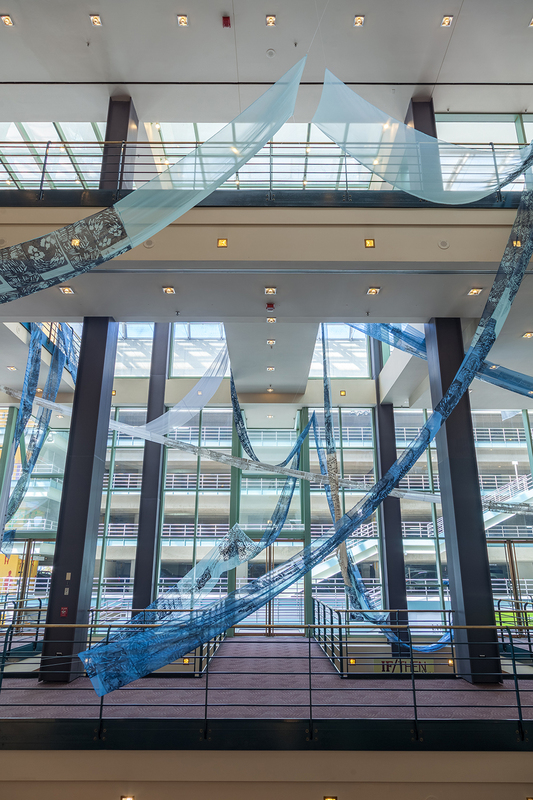 In collaboration with the 2016 Biennial of the Americas and Denver Arts and Venue, Theresa Clowes’ artwork meandered through Denver’s Buell Theater atrium. 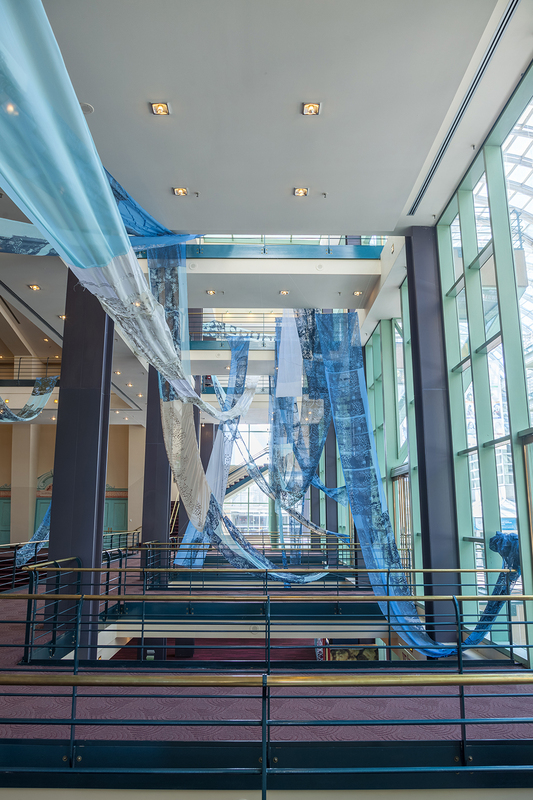 Meandering is a textile installation that resembles a fabric river undulating through the Buell Theater’s four-floor atrium mimicking the Big Thompson River’s natural path. 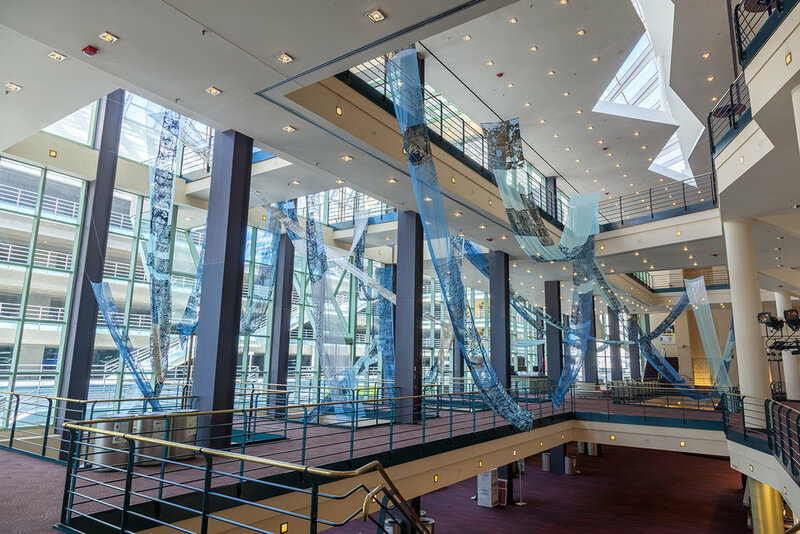 Juxtapositions occur through translucent and opaque fabric manipulation, objects sandwiched in between layers, and sewn pleats with gathered stitches. 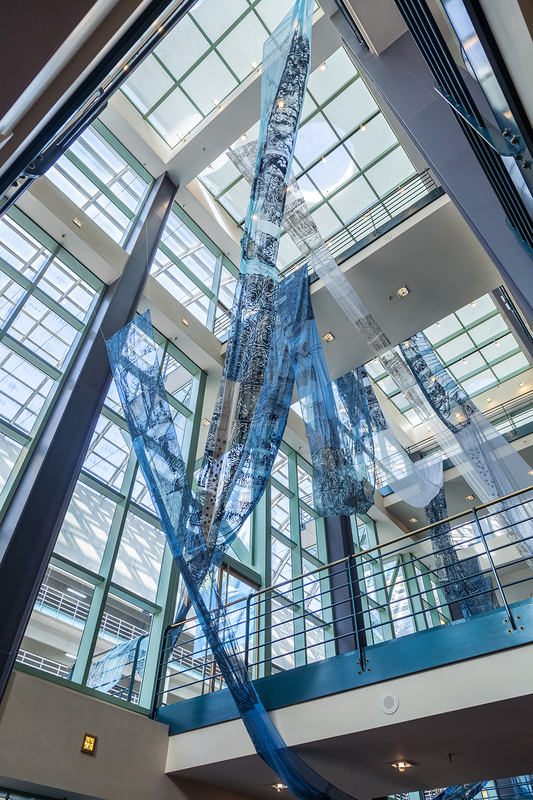 Each section of this translucent fabric represents a direct blueprint of information gathered from five-mile segments of the river. 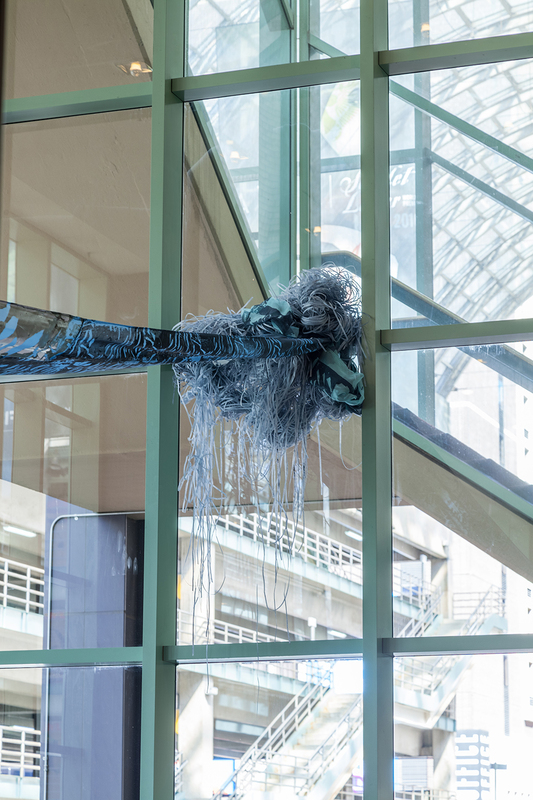 The goal of this installation was twofold: to represent through art the methodologies and processes of collecting data and to inspire dialogue around our human imprint on nature.